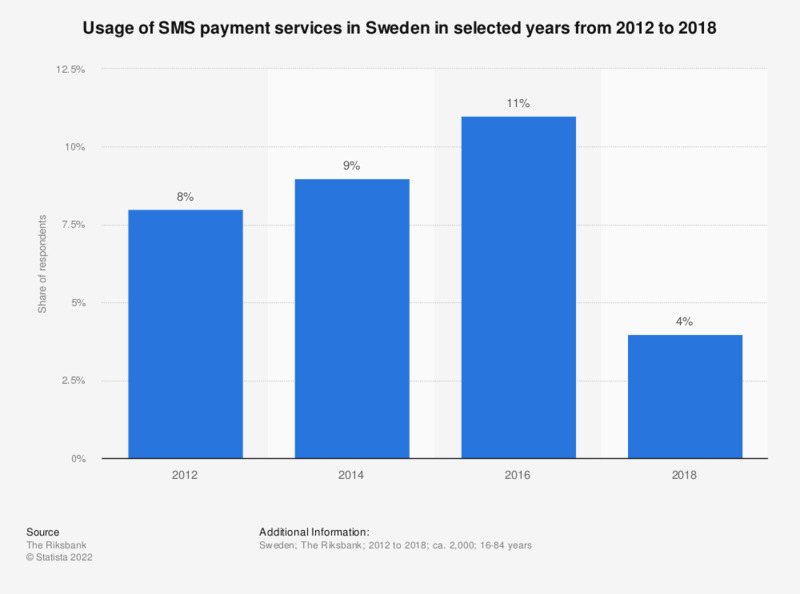 This survey shows the share of people who used SMS for paying in Sweden in selected years from 2012 to 2018. In 2016, 11 percent of respondents have used SMS payment service for private purchases and the share decreased to four percent in 2018. Original survey question: "Which of the following payment methods have you used (for private use) in the past month?"